At the heart of our spiritual practice, in Minyan. 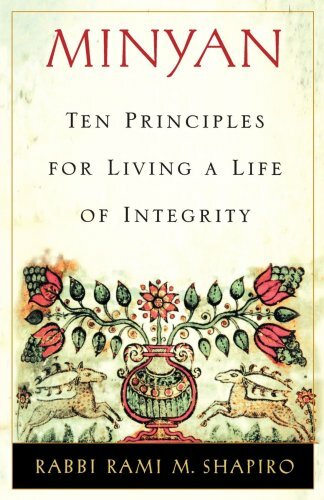 These Ten Vows and Ten Practices are a practical companion to Creation Spirituality. The Middle Way teaches us the path to walk, the Ten Vows light the Way, and the Ten Practices empower us to walk. These Vows are in Rabbi Rami Shapiro's book Minyan. They should be remembered daily, and recited often. Hold them close to your mind and learn from their deep truths. Rabbi Shapiro published the following short versions of the vows on his blog (here). I will be using these short versions in my commentary, but I recommend reading the long versions from the Book, especially on New Moons. They are much more elaborate and explain the practices very well.